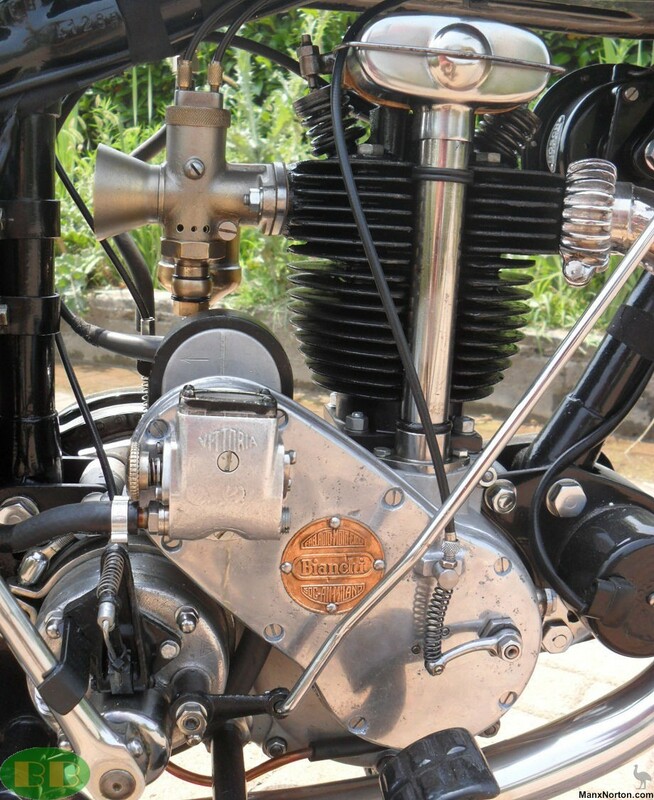 It is a typical motorcycle 30s. Compared to early models of motorcycles, with an even very similar to bicycles, the line has become softer and stretched. The frame tube from headstock to the saddle, is inclined from horizontal so as to allow the lowering of the position of the saddle, wide and spring-tensioned. The tank takes a round shape and stretches on the inclined tube, in front of the saddle. The exchange, usually with three speeds, is still controlled by a hand lever next to the tank. The fenders are wide and long, often with front-cutter. This motorcycle had a wide circulation thanks to the prestige of the manufacturer and success in competitions; on a motorcycle of this type Mussolini had himself portrayed as "the first rider of Italy". The bike was restored by Mr Luigi De Boni, is released warranty on the work performed.